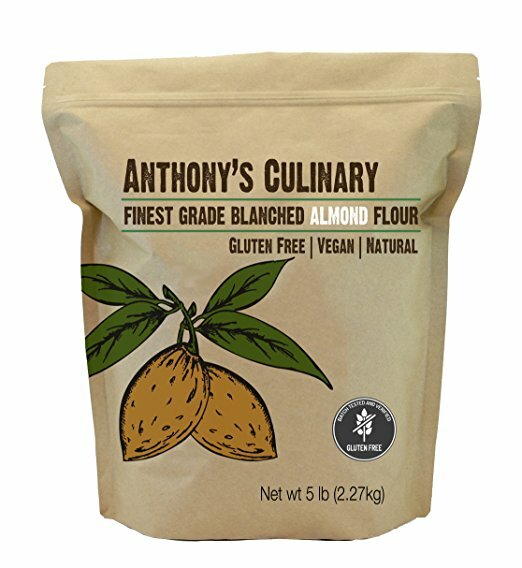 The best Coconut Butter you will find! Perfect ingredient to add to the perfect FAT BOMB! 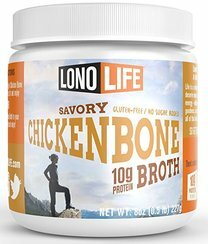 Easy on the go bone broth! Comes in travel packets too! Use code TEAMPBTW at checkout or click on "learn more" below to automatically receive 10% off your order! A great alternative to a traditional tortilla! A delicious tasting nut with the highest fat content of all nuts. You can't find these in the grocery store just yet! 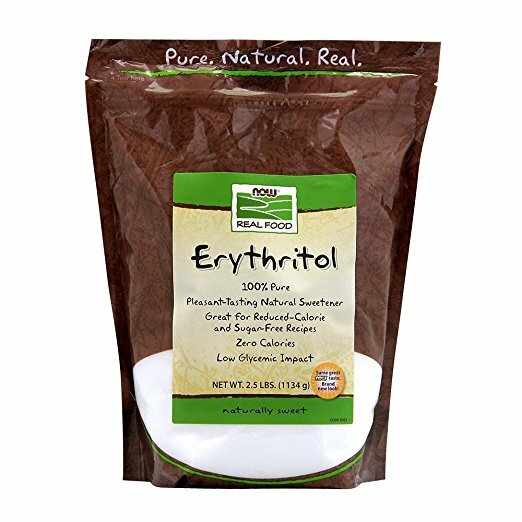 A natural sugar alcohol that is easiest on the tummy and great to bake with. Does not affect blood sugar. 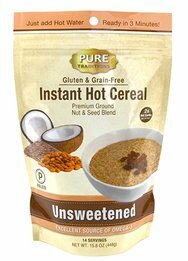 Grain FREE oatmeal! Add your favorites like coconut butter, stevia, fruit to make it simply divine! 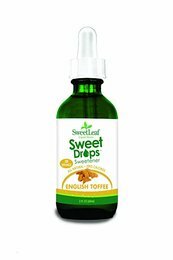 Sweet Leaf is one of the most pure forms of Stevia on the market. Spice up your coffee, grain free oats, or fat bombs with this English Toffee flavor! ​The only certified clean coffee on the market free of mold and screened and tested for 27 toxins before hitting the shelves. 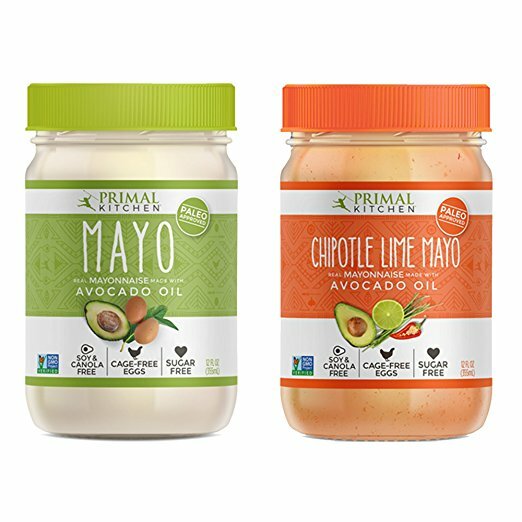 ​Avocado oil based mayo, Non-GMO made with cage-free organic eggs. A great alternative to making your own mayo at home! 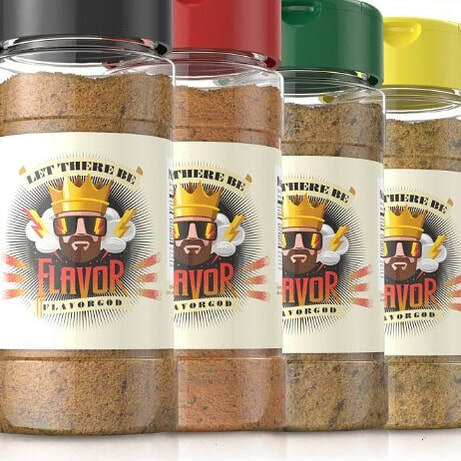 Certified Kosher & Paleo, Low Sodium, and Pesticide Free SEASONINGS that are Gluten, MSG, Dairy, & Soy free. Zero Calories, Zero Carbs, & Zero Fat. Primal Kitchen’s Primal Fuel whey protein powder provides balanced, healthy doses of whey protein isolate, high-quality fat, low carbs and low sugar in a delicious and incredibly satisfying shake. 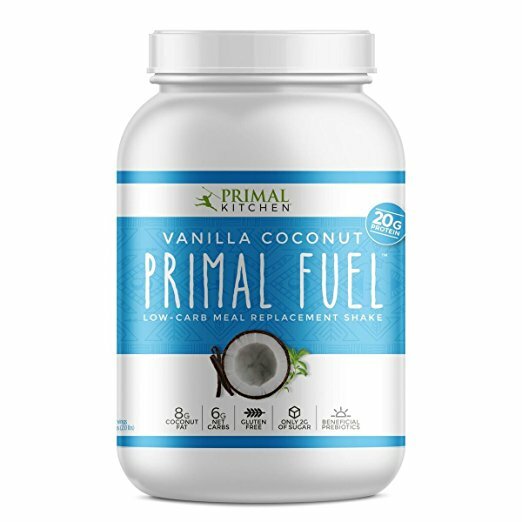 NO ADDED SUGAR + LOW CARB: With low sugar (2g of natural sugar per serving) and fat from coconut milk, Primal Fuel keeps insulin levels low and curbs hunger, great for pre or post work-out energy or as a meal replacement shake. VITAL PREBIOTICS: Rebalance and re-establish a healthy gut. Using inulin from chicory root, our Primal Fuel supports healhty gut bacteria and digestive health. 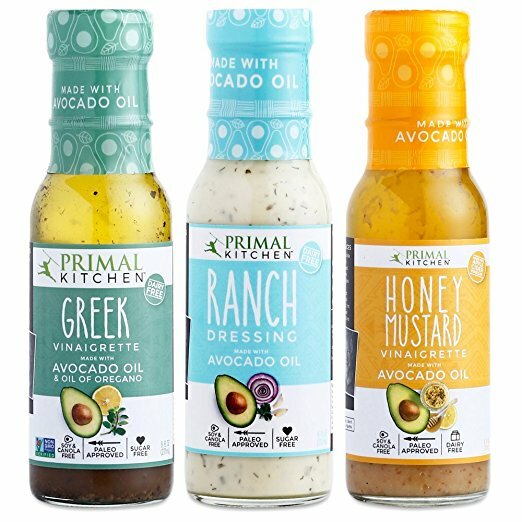 Dressings that are made with avocado oil, and are Whole30 and Paleo approved! FREE OF refined sugar, trans fat, and gluten. ​Natural sweetener without the after taste or digestive discomfort that other natural sweeteners can cause. Measures cup for cup with sugar. Great to bake with! Collagen from pasture-raised cows supports bones, joints, skin and hair. Bulletproof Vanilla Collagen Protein is naturally sweet and great in smoothies, yet so tasty you’ll also love it mixed in water, or even try blending it in your Bulletproof Coffee for a delicious vanilla latte. 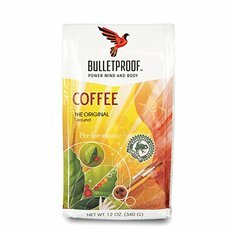 Plus, it’s made with Bulletproof XCT oil, so it’s also a satisfying way to add high-energy fats to your diet. together. Bulletproof Collagen Protein is made predominantly Type I and a small amount of Type III bovine collagen that comes from pasture-raised, hormone-free cows, and is undamaged by heat which leaves its nutritional-giving peptides intact. 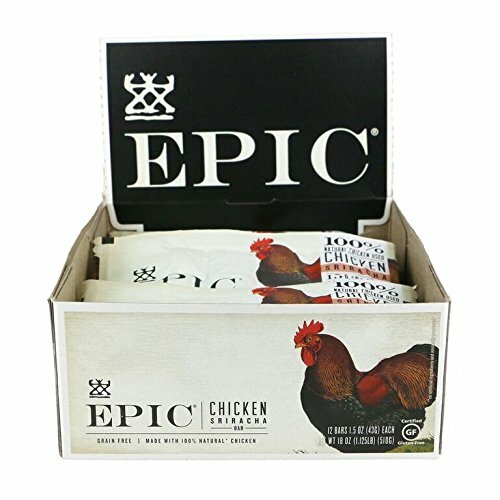 EPIC all natural meat bar. Quick way to get 15grams of protein in on the go. Different flavors to satisfy your taste buds and 100% natural. 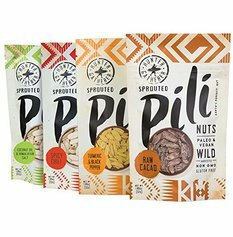 The healthiest nuts on the planet, native to the Amazonian Savanna. Half the fat calories and twice the fiber of other nuts. Loads of Vegan Protein, Fiber, Zinc, Iron, Magnesium & Potassium. Delicious flavor and crunch. Often compared to a mix between cashews and peanuts, only tastier! Very Rich in anti-oxidants (4x more than blueberries! ), essential fatty-acids, and Omegas. No Sugar Added Premium baking Chips. 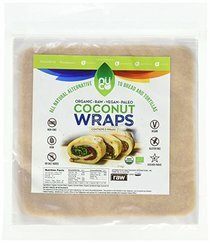 Vegan, Non GMO, & made with Stevia. 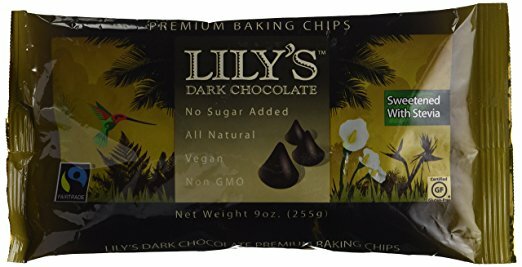 Reduces calories by 25% of "typical" chocolate chips. Pasture-Raised, Grass-Fed, Non-GMO, Kosher Collagen Peptides; Soluble in cold liquids. Promotes youthful skin, healthier hair, and stronger nails. Collagen helps keeps bones healthy and strong, supports joint health. Easily mixed into any liquid, our collagen powder contributes to a balanced diet and helps maintain weight. Whole 30 ® Approved!